DANIEL Ricciardo expects Red Bull to remain Formula 1's third-fastest team despite the introduction of an extensive upgrade package for the RB13. The team's car, lagging far behind the Ferrari and Mercedes at the start of 2017, was rumoured to be dramatically remoulded when it runs at this weekend's Spanish GP. But with Red Bull seeking to claw back a pace deficit of about one second to the frontrunners, and Mercedes also expected to introduce significant improvements to the W08, Ricciardo has warned that a repeat of the team's 2016 victory at the Circuit de Catalunya is unlikely. 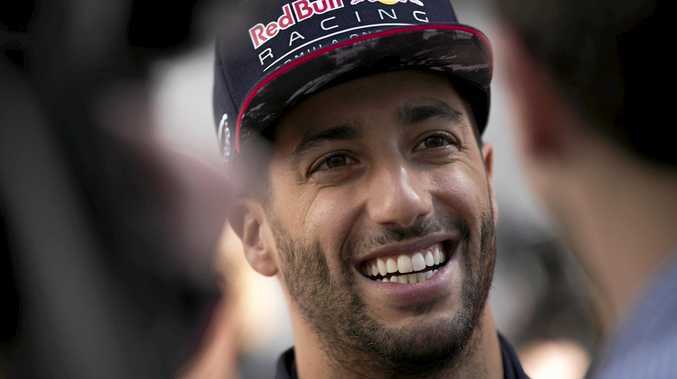 "We have to expect to be where we are," Ricciardo said. "Hopefully we will be closer, but l don't think we can come out and expect to win this weekend. We would like to but even if the update gives us a second (of pace) we know that Ferrari and Mercedes aren't going to come here with nothing. "The target is to close the gap." Red Bull remains tight-lipped on the changes to be made to the RB13 but Ricciardo has confirmed the car will remain just that - an RB13 model rather than, as some in the paddock have predicted, a brand new car amounting to an RB14. "There are a lot of bolt-on bits but it's still the car and the same chassis essentially," Ricciardo told reporters in Barcelona. "It's big aero stuff. The real mechanical side of the car - you've got what you've got. "It's still the same car itself, so that's why we've got to be a bit careful to not expect too much, but these bolt-ons should give it some more." As for the Australian himself, his sense of humour certainly doesn't require an upgrade. Asked to reflect on the first anniversary of his partnership with Max Verstappen and whether the Dutchman has improved during his 12 months at Red Bull, Ricciardo deadpanned in response: "He hasn't improved. He won his first race and hasn't won since!" After Red Bull chief Christian Horner revealed to Sky F1 in Bahrain that wind tunnel correlation issues had hindered the early development of the RB13, the team has been readying its Barcelona overhaul for several weeks in an attempt to kickstart its season. Verstappen, who claimed the team's only podium of 2017 so far in China, is also keeping his expectations for the one-year anniversary of his stunning maiden win in check. 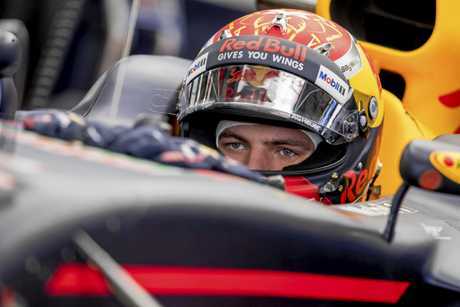 "There are always a few issues out there, but what we have on the car now will bring us a few tenths," Verstappen told Sky Sports News HQ. "Then we'll see from there. "If we can close the gap already a little bit, that would be a good target."